Clearly, this is a business move by Evernote to diversify its income past selling premium memberships, and I don’t disparage the company trying to do that. However, there is no situation in which I want content from the Internet appearing alongside the endless amounts of information about work clients, home projects and my business I store within Evernote. 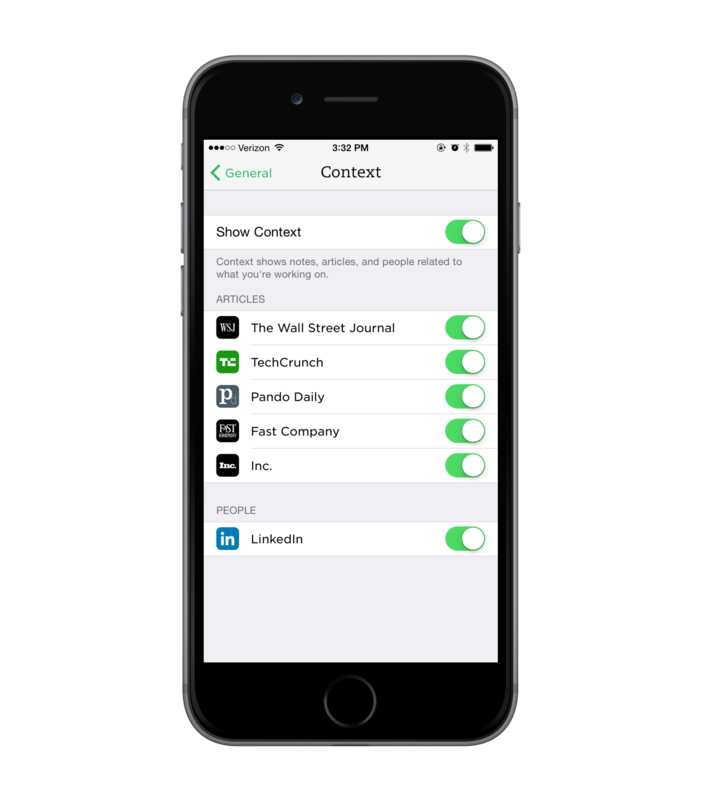 While Context may not officially break this “law of data protection,” it sure feels icky. 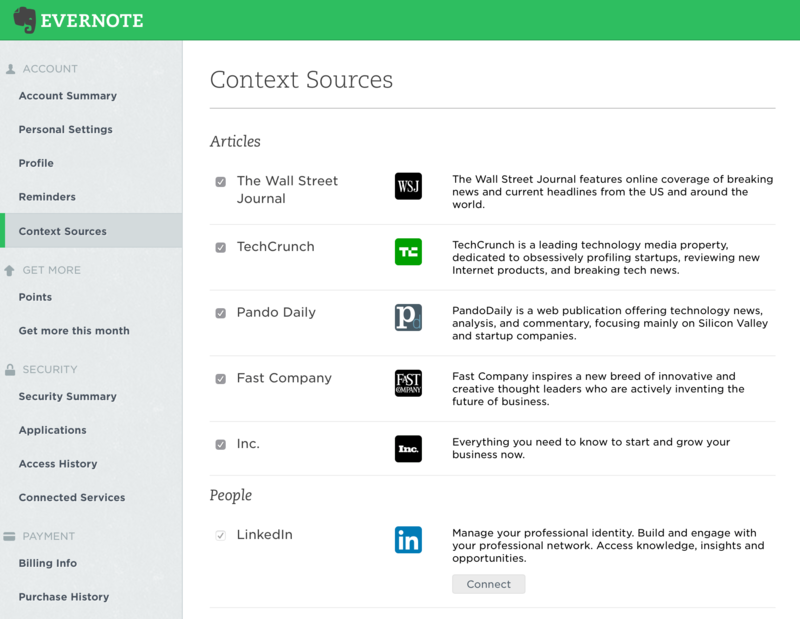 With our Context feature, the Evernote Service uses a number of technologies to show you relevant content. The content we show you may include Notes from your own account, Notes from accounts you are connected to through Evernote Business or Work Chat, and third party content that you have elected to receive. We believe features like these, which work automatically without any person at Evernote reviewing your Content, will enhance your experience using the Service. Context is turned on by default in applications where the feature is offered, but you can choose to turn it off. Context appears as “related results” in our Web Clipper, a feature which is turned on by default for our Business users. While I’m glad humans aren’t looking at my notes, I don’t want content from the web being pulled into Evernote. These settings do sync with the iOS device, which is nice, but again, it’s unclear if this feature can be disabled completely. This is another example of Evernote spreading itself past its primary scope. I want Evernote sync to be fast and reliable, and I want their apps to be world-class. That’s not true today, and until it is, additions like Context have me wondering if its time to move on from the service.